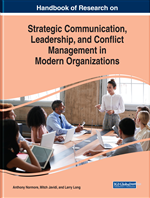 When faced with crises, organizational leaders must identify, prioritize, and communicate with organizational stakeholders. Increasingly, organizational leaders find themselves responding to crises made by persons that represent or are associated with the organization in some way. However, most case studies of image repair campaigns focus on the individual that has transgressed rather than on the often-simultaneous campaigns undertaken by the organizations with which they are associated. To study these issues more closely, this chapter uses The Ohio State University's (OSU's) tattoos for memorabilia scandal as exemplar and offers meaningful insight and pragmatic considerations for practitioners dealing with similar situational constraints. Image repair1 undeniably operates at the intersection of strategic communication, leadership, and conflict management in modern organizations. In times of crisis, organizational leaders must identify, prioritize, and communicate with stakeholders. Stakeholder prioritization, regardless of public relations task, is most often based on audiences’ legitimacy, power, and urgency (Rawlins, 2006). Research indicates that post-crisis audience prioritization can be particularly troubling for organizational leaders for a number of reasons. Perhaps nowhere is this prioritization more problematic than in the world of sports. Kruse’s (1981) work on apologia in team sport explicates how these issues are problematized in the world of sports. She argues sports is a “sphere of social reality separate from the sociopolitical world” (p. 271). Building on the work of Edwards (1973), Novak (1976), and others, she asserts that because athletic teams, players, fans, and all others associated with the organization form a “family,” members may temporarily set aside ethical norms if the option to win is present because winning “controls all of the sport world’s ethical precepts” (p. 283). Thus, an act that may be considered unethical or be disapproved of in the regular world may be viewed as acceptable in the sports world because the end goal is to win, regardless of the means to achieve it (Kruse, 1981). She notes, however, that there are cases in which an unethical act is seen as morally reprehensible enough to surpass the need to win, such as when a player places his/her own selfish needs above those of the team, when a vital team member leaves the team or does not play to the best of their ability, or when individual members display “behaviors that indicate an overly casual or frivolous attitude toward the team or the game” (Kruse, 1981, p. 276). In such cases, family members will allow for a punishment that fits the crime. Though a great deal of work has been done in the area of image repair and sports, most case studies focus on the image repair campaigns of individuals who have transgressed rather than on the, often simultaneous, campaigns undertaken by the organizations that the transgressors represent or with which he/she/they is/are associated. However, when athletes/coaches violate the rules, laws, and/or ethical mores of their governing body (e.g., the NCAA, NFL, NBA), the organizations to which they are members often have to mount their own image repair campaigns. In doing so, the organizations often face complex stakeholder dichotomies. When this occurs, the organization has to decide whether it should fine/suspend/terminate the, often beloved, coach or athlete(s) accused. Further, the organization must evaluate how its decisions may help/harm the institution’s image in the eyes of its fans and governing body that often have differing opinions on the issue. A few studies (e.g., Fortunato, 2008; Len-Rios, 2008; Sisler, 2015) illuminate the value of inquiry that places primacy on the image repair campaigns of organizational leaders who are forced to mount image repair campaigns resulting from actions perpetrated by the athletes representing their organizations. However, additional studies are warranted. The current study examines the image repair campaign undertaken by the leadership of The Ohio State University (OSU) following its tattoos for memorabilia scandal in an effort to offer pragmatic considerations and recommendations for organizational leaders dealing with similar situational constraints. The solutions and recommendations offered herein are discussed in a manner that will benefit practitioners operating both inside and outside of the sports arena. Before delving into the case analysis, it is necessary to provide background in three different areas. First, this crisis has an intricate backstory that warrants telling. Second, an outline of the relevant scholarship on which the arguments herein are based is needed. Third, the methodology undertaken by the authors is discussed. Bolstering: Listing the positive actions of actors in a crisis. Expression of Disappointment: An acknowledgement that the organization does not condone the act in question. Minimization: A strategy used by those in crisis that attempts to decrease the perceived harm done. NCAA: The National Collegiate Athletic Association, governing body of Division 1-3 collegiate athletics programs. Image Repair: An attempt to restore or transform one’s image following a crisis. Renewal: A rhetorical strategy undertaken to capitalized on the lessons learned from a crisis. Corrective Action: Taking steps to ensure similar events/acts will not take place in the future. Crisis: An event that threatens the legitimacy of an actor with key stakeholders. Apologia: The act of rhetorical defense undertaken following an event that threatens one’s image. Differentiation: A statement showing the difference between the current crisis and one that could have been much worse. Good Intentions: An attempt to decrease the egregiousness of an act by arguing that it was undertaken with goodwill. Transcendence: An attempt to move past a crisis by appealing to higher values. Defeasibility: An argument made by an actor that focuses on his/her ignorance of the event/act pre-crisis.